In the offshore wind it is all about keeping cost down. A big part of managing the cost is completing projects on time. Completing on time is all about how much work can be done on a turbine per day. In order to do as much work as possible one needs to have the technicians on the turbine. 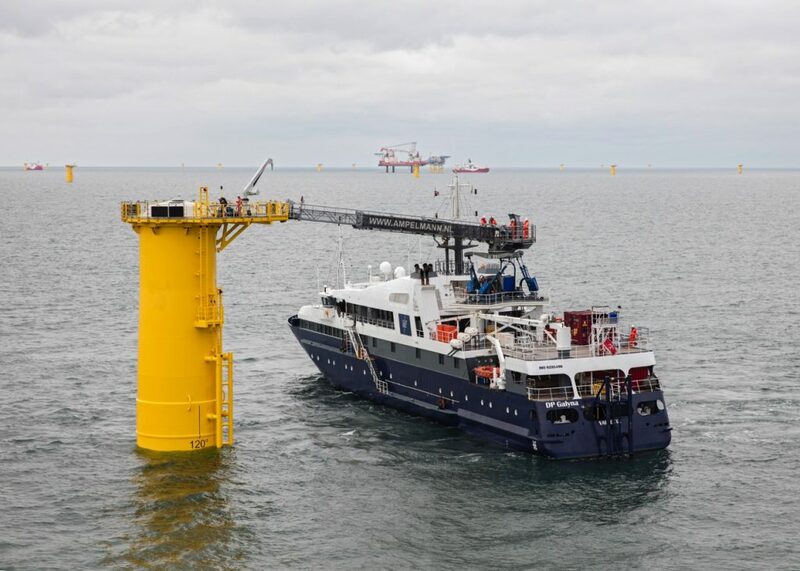 Therefore having a vessel that can maneuver quickly and connect the gangway to the turbine fast is essential. It determines how many persons can be transferred to the turbines per day. In this respect Chevalier Floatels is very pleased with the results last year’s upgrades. DP Galyna and DP Gezina were fitted with a 4th Azimuth thruster, new Ampelmann Hyper mode software, a new deck and a pedestal under the gangway on the DP Galyna. 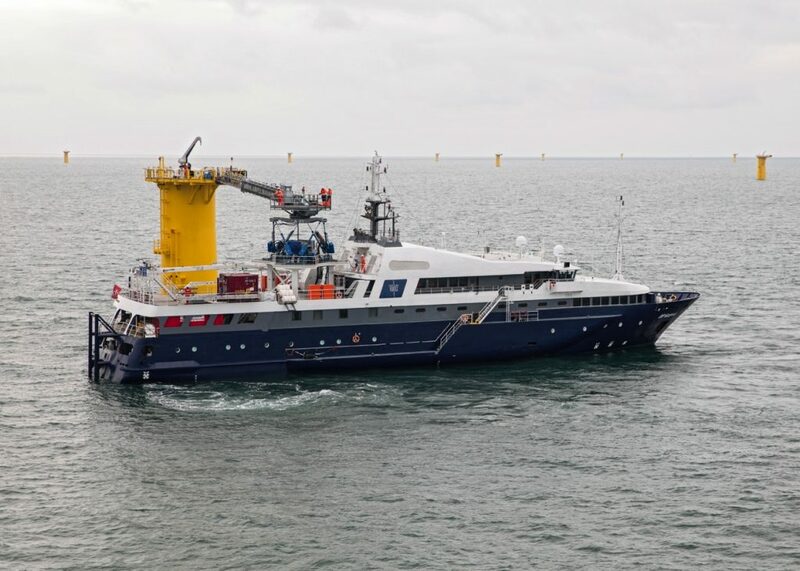 After last year’s upgrades the vessel participated in 11 different offshore campaigns. Almost all these projects were completed ahead of schedule. One of the main reasons, is the high performance of the DP Gezina and the DP Galyna. The new Ampelmann software increased bad weather performance. The new propulsion lay out the vessels made the vessels highly maneuverable. The vessels can travel at 6 knots on DP and maneuver quickly in to the right position for transfer . The results lots of transfers per day. On several days these more than 50 individual connections to different turbines were achieved. A new record in the industry. This is how progress is made. Coupled with the efficient operational cost of the vessels, it is no wonder clients kept rebooking the vessels. 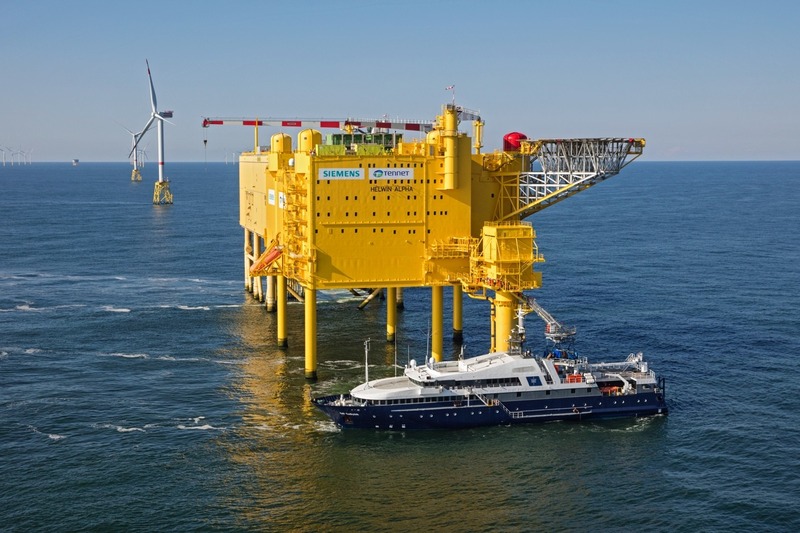 DP Gezina and DP Galyna worked last season for Jan de Nul & Dong in Burbo Bank and Race bank, for Tennet on Hellwin Alpha, Beta and Helwin and Sylwin, Dogger Bank Met Mast for Forewind, Nordsee One for Ambau and Veja Mate Seajacks. In several of these projects the vessel were used several times.